The Players:﻿ In a speech given to the World Health Care Conference in Washington D.C., former Health and Human Services Secretary Tom Price spoke candidly about the impact of repealing the individual mandate portion of the Affordable Health Care Act. He would later clarify his remarks. The Quote:﻿ Here is what Price said at the conference relating to the repeal of the individual mandate and how it affects the health care exchanges. Why is this statement important? 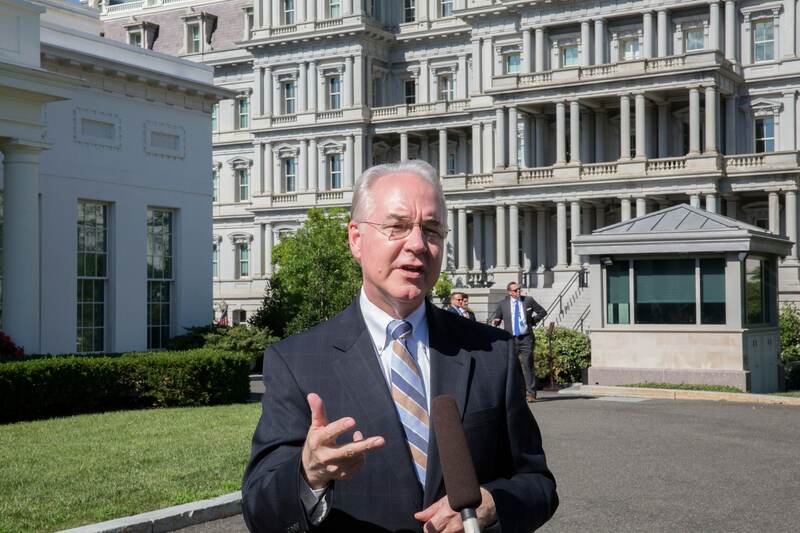 : As a member of Donald Trump’s cabinet, Price supported the repeal of the individual mandate last year. For those who may have forgotten, the individual mandate refers to the requirement that every citizen has to purchase health insurance. While the republican leadership has been unable to completely repeal Obamacare, they were successful in repealing the individual mandate. Leading up to this, Price claimed that the individual mandate was itself driving up insurance costs. What did he mean? : In an opinion piece written for The Hill, Price clarified his statement to the World Health Conference. After blaming “gotcha” politics for taking his quote out of context, Price said he meant that by itself — without any additional reforms — the repeal of the individual mandate would mean “Obamacare patients will have to bear more of their own health care costs.” Price went on to say that he still supports the decision and believes the repeal of the individual mandate has freed millions of families. More trouble for the Price family: The controversy over Price’s quote comes at a time when quotes from the Price family are gaining quite a bit of media attention. Price’s wife, Betty, is running for re-election to her state house seat this year and has been caught with her foot in her mouth on two occasions this year. Don’t forget to share your thoughts on this issue by answering the poll question or commenting below.